Richard Garriott's wants to get some things off his chest, including that he's got a new RPG in the works that will be "smaller, thinner and lighter" than his past projects. 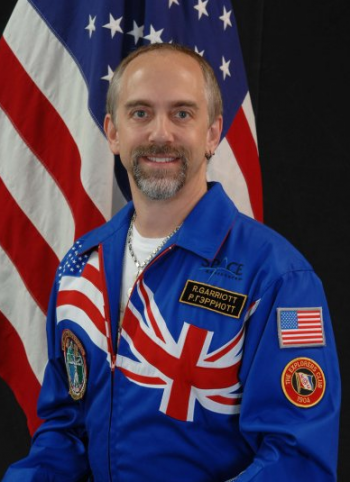 Now that Richard Garriott is $32 million richer, selling his house, and working at a new social game company, a lot of folks have been wondering just what his next game is. The answer, it turns out, is that the man is working on a brand new RPG that sounds like he's hoping will start small but eventually grow to become the Next Big Thing. Here is what I feel is safe to say: Lord British's Ultimate Role Playing Game, which may be called "Akalabeth" or may be called "New Britannia" or may be called "a name I cannot yet say as it describes the setting I am considering and think I should keep secret at least until I know if it's likely true," will be an Ultimate RPG. You will have customized Avatar homesteads and real roles to play in a deep, beautifully realized highly interactive virtual world. It will have virtues and the hero's journey reflected back to the player. It will have the best of synchronous and asynchronous features in use. Fiction will support your arrival from earth into this new world. I even hope to make maps, coins and other trinkets available to players of the game. But, please be understanding. It took 25 years to craft all the detail in Ultima. The new world will start smaller, thinner and lighter. It will have fewer features than some or most MMOs. Critical elements of the story I have just told may be missing upon launch. But fear not, this is where we are headed. Come play with us in the brave new world. Help us grow it. Teach us about what you have learned in your years of playing. Invite in your new friends who are new to gaming. They will be a new spirit and provide new ideas about what to do. They will likely not tolerate bad instructions, bad interface or huge upfront fees, which is a good thing! We will teach and learn from them as well. If you want to read the entire (and impressively-long) post, you should head over to Garriott's Facebook page. It's actually a fascinating trek down Memory Lane from one of the biggest names in the industry. Fair warning, though: This will probably take longer than your average coffee break to work through.